You Have Content. Now What? September 9, 2016 / Clea Durrell / Comments Off on You Have Content. Now What? Register now to join us for the Gilbane Digital Content Conference’s Track T: Technologies for Content, Marketing, and Digital Experience, and make sure you’re on the path to success. This track is designed for technology strategists and executives focused on near-term and future software for creating, managing, and delivering compelling digital experiences across platforms, channels, and form factors. What’s All This Talk About Headless CMSs? Click each session for a detailed description and list of speakers, then, check out our site for even more! Register with code F16G to save an extra $100 off the Early Bird rate of your conference pass. The Fairmont Copley Plaza is the official conference hotel for the Gilbane Digital Content Conference 2016. Discounted guest room rates (plus applicable taxes) have been arranged for attendees who book by November 11, 2016. Or at least think it through very carefully. Also, do you really want to be called a “platisher”? Medium had its biggest week ever last week — or so we might claim. By number of unique visitors to medium.com, we blew it out of the park. The main driver was a highly viral post that blew up (mostly on Facebook). However, the vast majority of those visitors stayed a fraction of what our average visitor stays, and they read hardly anything. In computing that is, or better, general computing. Written by an actual teen. There are at least 1876 marketing technology companies. How can this be? The code that secures Bitcoin could also power an alternate Internet. First, though, it has to work. Rumors of the web’s death are being greatly exaggerated, again. There is a legitimate debate about how we use the terms “apps” and “web”, but also a lot of uninformed pronouncements about a web death spiral. Quartz has a short, accessible post on some aspects of the confusion. 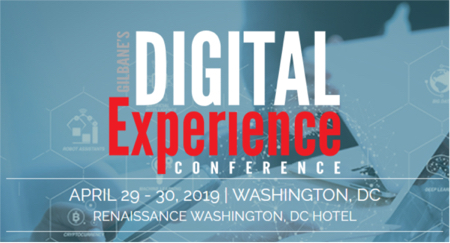 The Gilbane Advisor curates content for our conference community of content, computing, and digital experience professionals throughout the year.